I cry so much, but now I so very very Happy. Ahh I loved The Finally Cute!!!. Well, I was never really a fan of Kagome, really, but they were still cute, and the ending...I thought it would end differently, but I guess it was to satisfy the fans, ne? Could have been better, but it was still cute, just like this pic. Great job. i wanted a less predictable ending..the series is so long and then you're like "what, with all the waiting this is the best she could do". i wanted naraku to get with kikyo and kagome to leave inuyasha and move back to her time. That's what was bothering me, you hit it on the nail! It was a little too predictable, and in my eyes...unrealistic. Feudal Japan (like in the Middle Ages) was a terrible place to live in according to history, with wars, poverty, and disease. There were other things too, but still...I couldn't put it into words until you did. ohhh thanks for the nice comment!!! hehehe see ya dear! You're very welcome, please keep the wonderful work and drop by anytime. 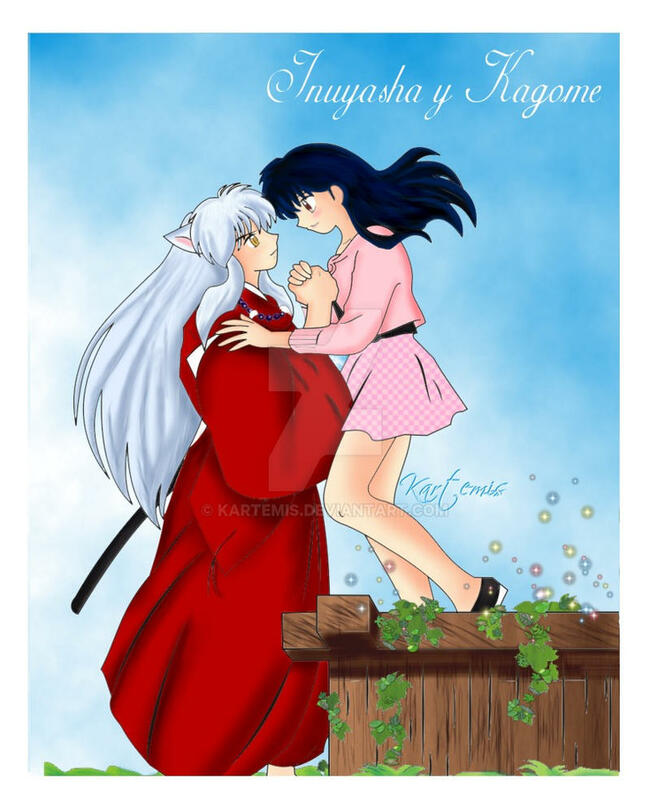 maybe you can have right, I don't know, the point is the finally Inuyasha and Kagome stay together. hehehe see ya , and thanks for the comment! WOW. wut program did you use to color this? is it free? can i download it? I just love Inuyasha and Kagome together, and this scene was so special. You did a great job on the art! ohh thank you for the nice comment, and yes InuKag = Is the best couple !!! dioooooos también te gusta inuyasha??? es mi anime favorito! luego naruto jejeje me encanta inukag son la mejor pareja!!! sabías que van a dar un nuevo animé llamado Inuyasha: Kanketsuhen/Inuyasha:the final act ??? no puedo esperar para verlo pues pasarán desde donde se quedaron hasta el final del manga siiii!!! ohhh si yo igual espero la segunda parte,me parece que llega en octubre si que se va a poner bueno, saludos desde México hasta Venezuela! dios! me acabo de dar cuenta de que no te había watcheado!! error corregido! jejeje siii espero con ansias la nueva temporada de inu!!! y claroo que tus dibujos! Yeah!! A mi tambien me encanta el InuKag...Adore el final!! me encanta esta pareja, nunca me entere en que se acabo el manga, pero los queria ver juntos. a quien odiaba era a aquella que inuyasha amaba, ya olvide el nombre. If I suppose wanted but, clear who didn't wait the kiss, Caray if that leave us with desires of seeing more.